The Gabby Douglas celebrity doll portrays her as herself at 20 years old, an American Olympic gold medalist gymnast. The doll was released by Mattel in 2017 and designed by Carlyle Nuera. When Gabby Douglas was just four years-old, her older sister showed her how to do a cartwheel. 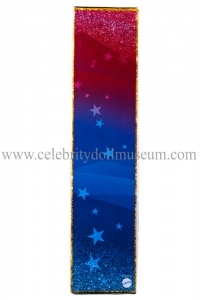 The little girl tumbling around her house would later become the first woman of color to win the individual all-around competition for gymnastics. Her confidence, work ethic and belief in herself make her an extraordinary role model to girls. 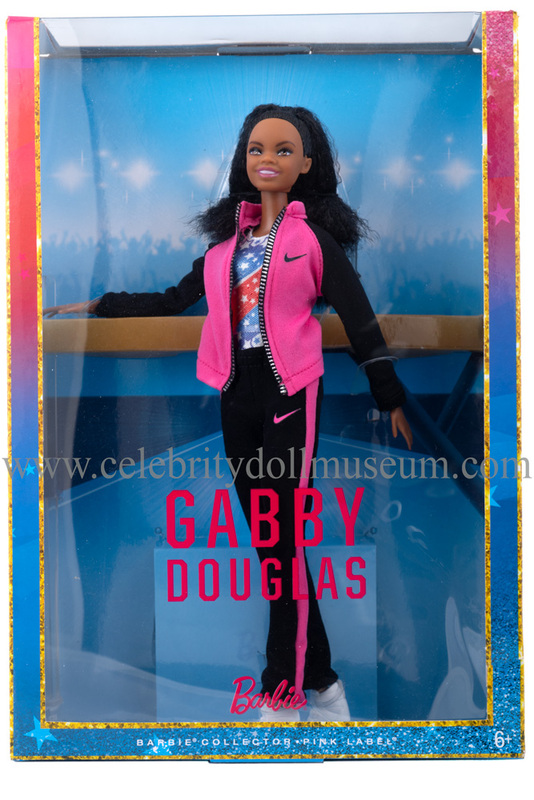 The Gabby Douglas Barbie(TM) doll celebrates the extraordinary accomplishments of this inspiring athlete who breaks boundaries and expands possibilities for women everywhere. Whether she is training at the gym or dazzling the crowd during competition, Gabby has earned her spot as a true Barbie “Shero”! 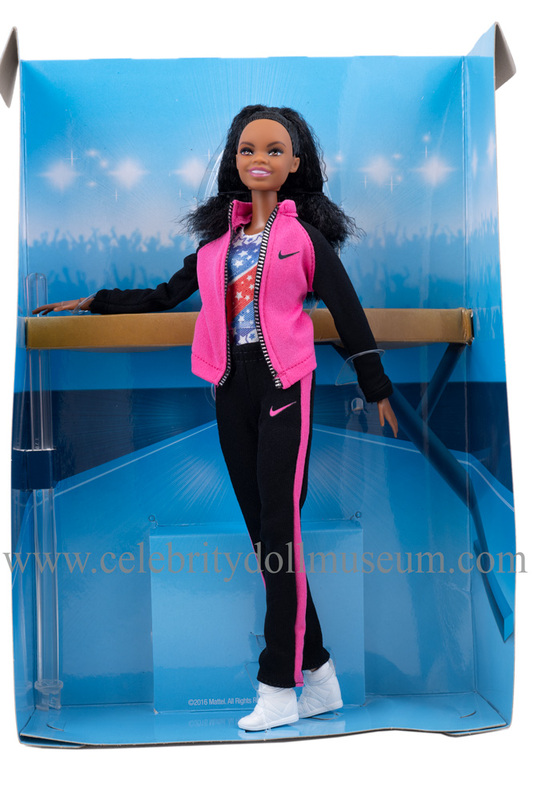 The doll sports a pink and black Nike branded warm up suit over a red, white, and blue gymnastics costume. On the feet are white high top plastic sneakers. 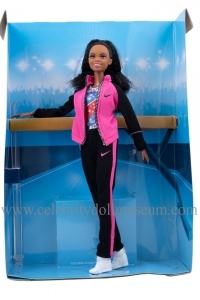 The doll is articulated for gymnastic poses with shoulders, bicep forearms, elbows, wrist, hips, knees, and ankles that can either twist or bend into any pose. 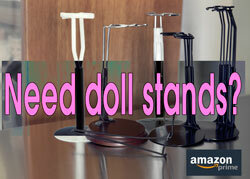 Head turns and tilts up and down. 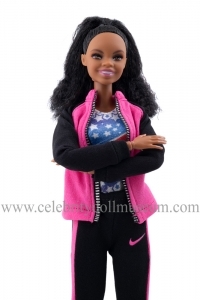 The doll comes with a Mattel Certificate of Authenticity.